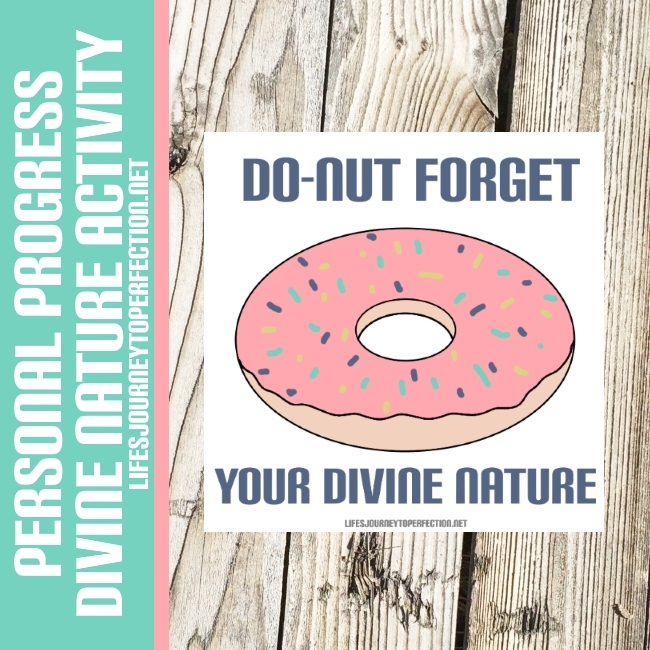 Need some ideas for a YW Personal Progress activity on Divine Nature?? 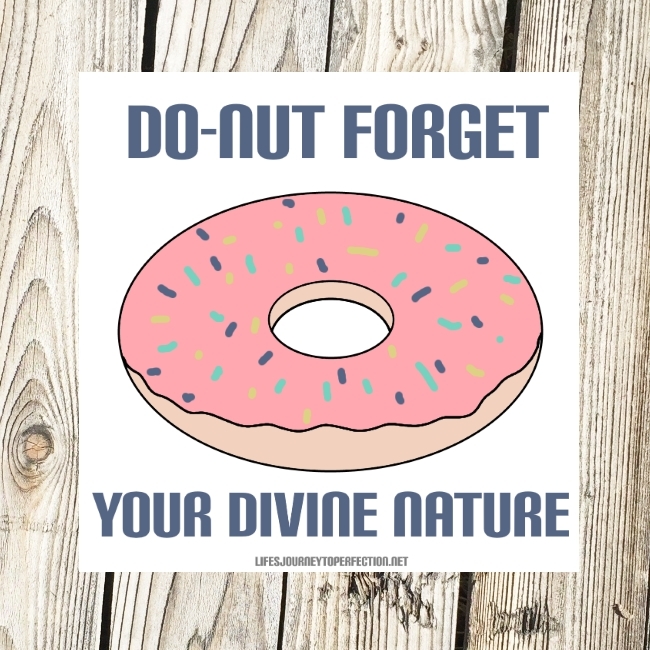 What about, "Do-nut" forget your Divine Nature!! Man, I love the Personal Progress Program!! Divine Nature is such an important value to gain a testimony of!! How much more happier and manageable life is, when you know that you are a daughter of God, that He loves you and you have the potential to become like Him! Before the activity I asked all of the mom's to send me pictures of their daughters when they were babies. I then put them all onto one folder in my cell phone, so I could hook it up to the TV and flip through them for our game. The leaders' baby pictures were in there too, as well as the girls who were not at the activity. To Begin the Activity, I had, Jenny Phillips song, "Daughter of a King" playing. "Be partakers of the divine nature. … Giving all diligence, add to your faith virtue; and to virtue knowledge; and to knowledge temperance; and to temperance patience; and to patience godliness; and to godliness brotherly kindness; and to brotherly kindness charity (2 Peter 1:4–7). I have inherited divine qualities, which I will strive to develop." 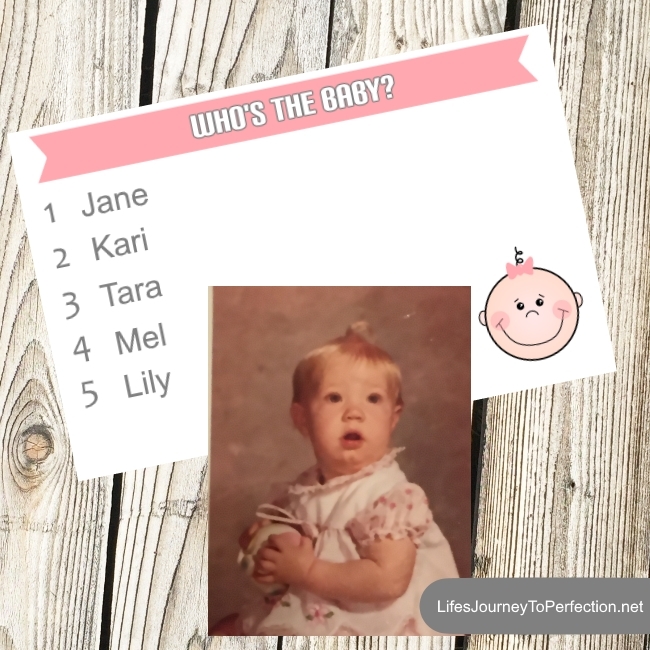 We then played the Who's The Baby Guessing Game. Each girl was given a numbered piece of paper. (See Free Download button towards the bottom of the page) We have a large Beehive group, so our paper was numbered 1-19. Beforehand I had saved each picture onto a file on my phone, which I then hooked up to a TV and I was able to flip through each picture and they had to guess who's baby picture it was. (You could also do this on a tablet or laptop) After they were done guessing, we went back through the pictures. I had them tell me who they thought it was and then we told them the correct answer. It was pretty funny, because there were some girls who didn't even know their own baby picture. The girl with the most correct guesses received a cute chap stick. I think this was the favorite activity of the night! I then tried to tie it into Divine Nature. That we each spirit daughters of our Heavenly Father came to this earth as little babies. We have each inherited divine qualities from Him. Throughout our lives we can better develop these divine qualities. 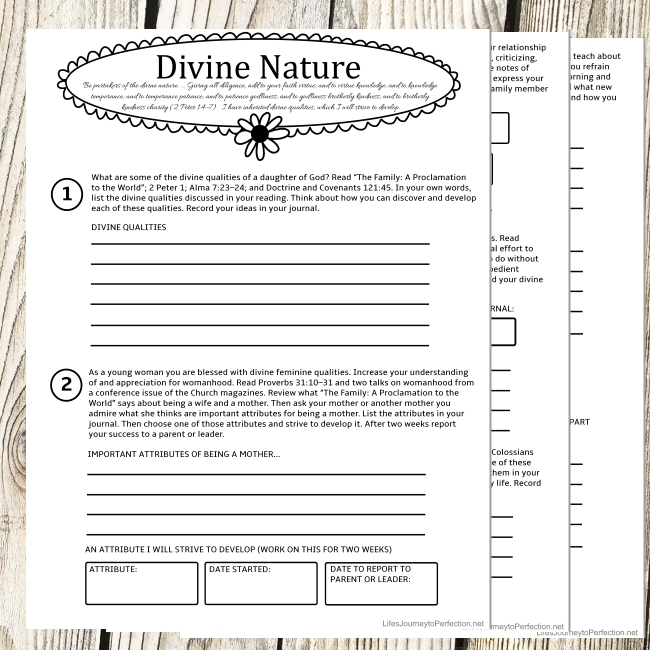 Each girl then received the Divine Nature Personal Progress Packet (See Free Download button towards the bottom of the page). The first thing we did was read through, The Family: A Proclamation to the world. (I printed off a copy for each girl) I asked them to listen for divine qualities and the roles of a mother as we read it. After reading it we discussed the requirements for #1 and #2 experiences. For number 2, the leaders shared attributes that they think are important and have helped them be a mother. The rest of the night we just went through and talked about each value experience, we did not read every scripture, the girls were invited to do that at home. Something I did with this packet was I put a start date and a goal finish date on most of the values. The girls really liked this, because then they would not procrastinate and would have a date set of when to finish each experience. Followed by sharing my testimony of how important it is to know their eternal value. Tip: Follow-up!!! They are busy teenage girls! Sometimes a quick little reminder goes a long ways!! If you'd like more Personal Progress Ideas Click HERE! Thanks for stopping by!! Check out and follow us on Pinterest, Instagram and Facebook for more fun ideas for young womens! Love this idea. I have one night for the Beehives and then the next week for the Mia Maids so this will be perfect. Thank you so much for sharing your creative talents!! I am grateful!! Thank you so much!! I have this all prepared and ready to go for Mutual tmrw. Afterwards, we'll head to Krispy Kreme for a donut. Thank you for your inspired lesson plan & wonderful free printable worksheets.